How Is The Central Economic Planning That The Federal Reserve Does Different From The Central Economic Planning That Communist China Does? Most Americans believe that we still live in a capitalist system and that free markets primarily determine the growth and development of our economy. But is that really the case? No, sadly it is not. The truth is that the U.S. Federal Reserve does a tremendous amount of central economic planning. So what makes the central economic planning that the Federal Reserve does different from the central economic planning that communist China does? Yes, in China it is the government that does the central planning and in the United States it is a private central bank that does the central planning, but other than that are there any huge differences? And if our economy is centrally planned, then how can we continue to claim that we still have a free market capitalist system? Certainly China goes into greater detail in their economic planning, but that does not mean that the economic planning that the Federal Reserve and the U.S. government do is not similar. After all, free markets do not set interest rates in this country – the Federal Reserve does. The Federal Reserve also determines what the money supply will be. The Federal Reserve is the one that decides if inflation is too high or too low. 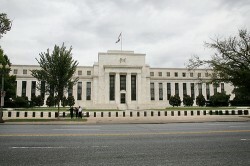 The Federal Reserve is the one that decides if unemployment is too high or too low. In addition, the Federal Reserve has a tremendous amount of regulatory power over U.S. banks and the entire financial system. Most Americans simply do not realize how much power the Federal Reserve has over our banks. Just last year Federal Reserve officials walked into one bank in Oklahoma and demanded that they take down all the Bible verses and the Christmas buttons that the bank had been displaying. Like the communist Chinese, the Federal Reserve is not elected and it is essentially accountable to nobody. Like the communist Chinese, the Federal Reserve also picks winners and losers. You see, not all financial institutions are treated equally by the Fed. For example, some have access to the Fed’s discount window and others do not. Certainly the Federal Reserve does not do all of the central economic planning in this country. The U.S. government loves to get involved in economic planning as well. For example, the U.S. government has decided that there are certain types of light bulbs that we are allowed to buy and certain types of light bulbs that we are no longer going to be allowed to buy. It doesn’t matter that the new light bulbs are far more dangerous to children or that most of us would still like to have the choice to buy the old light bulbs. But getting back to the Federal Reserve, how “democratic” or how “capitalist” is it to have 12 unelected people sitting around a table deciding the economic direction of this country? The truth is that we live in a system that simply does not trust free markets and that believes that our economy needs to be “managed”. I have to admit that my thinking on these issues was stimulated when I recently read an excellent article by Vitaliy Katsenelson in which he asked the following question…. It is a fundamental tenant of American capitalism that central planning of economies doesn’t work in the long term, whether in Soviet Union historically or in China today. But I often wonder: How is the Fed’s Board of Governors – the proverbial 12 guys in a room – any different than the 24 guys in a room who make up the Chinese politburo? Is Katsenelson not right about this? How in the world is the Fed’s Board of Governors all that much different from the Chinese Politburo? In both cases, a group of unelected elitists makes the major economic decisions for all the rest of us. That certainly does not sound like “capitalism” to me. Would the free markets really produce worse results for our economy than the Federal Reserve does? Would America ever have gone through the Great Depression if the Federal Reserve had not been created in 1913? Would we have experienced the financial crash of 2008 if the policies of Greenspan and Bernanke had not created tremendous bubbles in the financial system? Would the U.S. dollar have lost over 95 percent of its value since 1913 if the Federal Reserve was not around to constantly inflate our currency? Would the U.S. government have the largest debt in the history of the world if we were not using the debt-based monetary system imposed upon us by the elite international bankers? Now that the total debt of the U.S. government is $14,228,193,126,138.72, it is getting really hard to deny that the federal government is drowning in debt. Dallas Federal Reserve Bank President Richard Fisher unknowingly indicted the very system he serves when he recently made the following statement…. If the Federal Reserve had never been created, and the U.S. government had been issuing debt-free currency all this time, it is entirely conceivable that we would have absolutely no federal government debt at this point. But defenders of the Federal Reserve tell us that if not for the brilliant people over at the Fed, America would be an economic basket case by now. In case anyone has not noticed, Federal Reserve Chairman Ben Bernanke has a very long track record of incompetence. Nearly every major judgment that he has made since taking over that position has been wrong. If one of us could go down the street and appoint the manager of our local Dairy Queen as the Chairman of the Federal Reserve, it is very doubtful that person could do a worse job than Bernanke has done. Unfortunately, most Americans do not understand this. Most Americans are still convinced that “the greatest economy on earth” will just keep roaring along forever. Most Americans are spending and partying as if everything is going to be just fine. Sadly, as Richard Daughty recently pointed out, most Americans will not wake up and realize just how bad our economic problems really are until it is too late…. In fact, to use an analogy, the economy is like a group of overpaid people, milking the government for every dollar and benefit they can get, on a chartered airplane that has been certified as “unsafe,” where one minute everybody is having fun, drunk as skunks, laughing and telling dirty jokes, and the next minute the plane is plunging out of the sky, out of fuel, one wing is in flames, the engines are dead, the entire electrical system is kaput, and, worst of all, the beverage cart is completely empty of cold beer and those little bottles of different kinds of tasty liquors. Uh-oh! Most Americans have become so “dumbed down” that they still won’t even understand what is happening even after the economy has collapsed. Newsweek recently found that 63 percent of Americans do not know how many justices are on the Supreme Court and 29 percent of Americans cannot even name the current Vice-President. America today is rapidly degenerating in many of the same ways that the Roman Empire once did. Tens of millions of Americans are lazy, slothful and absolutely addicted to entertainment. It is frightening to see just how many Americans did not show any empathy during the recent crisis in Japan or when we started launching missiles on Libya. The following mini-documentary that was recently posted on YouTube does a beautiful job of making this point…. So is there any hope for America? Let us hope that people wake up, because there are going to be even more economic disasters coming our way. Right now a large percentage of the American people don’t even know enough to realize what the real problems are, much less what the solutions may be. When most Americans talk about economics, they instantly start blaming “Obama” or “Bush” and a lot of them never even bring up the Federal Reserve. But it is the Federal Reserve that has the most power over our economy. If Americans want to blame someone in Washington D.C. for the economic mess that we are in, the number one culprit is the Federal Reserve. Yes, Obama, Bush and virtually every member of Congress has played a role in our economic nightmare as well. But it is the Federal Reserve that is actually “managing” our economy. We would have been much better off if we had allowed free markets to “manage” our economy all this time, but very few Americans actually seem to still believe in free markets anymore.